I recently built a portable node, i.e. 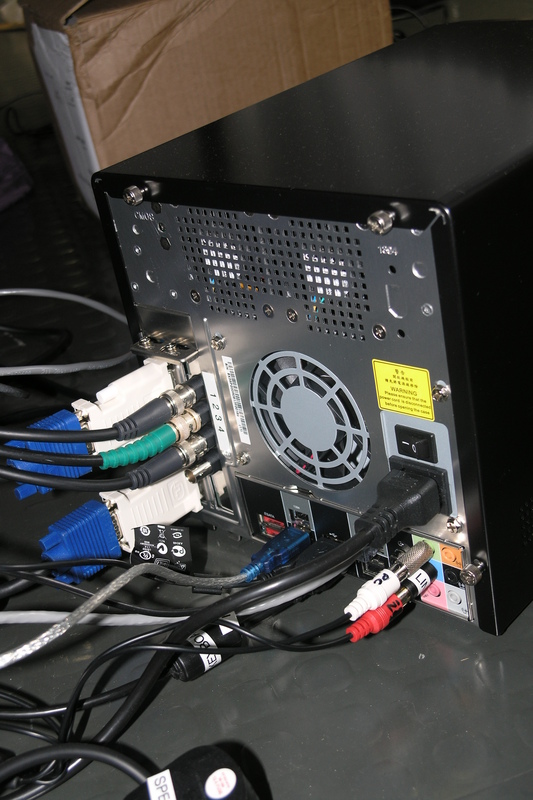 a small format PC, that can be put in a box with cameras, mics and speakers and carried around for offsite demos. It could also fit onto a trolley to be moved around a building. I've attached a list of all the items I purchased, along with links to the suppliers (all UK of course). I'm very happy with the performance of this machine, it's really just 'ticking over' when running 4 VGA res cameras plus an HD webcam. I've also attached a photo of the back of the PC. There were just 3 cameras connected at the time. One downside of Shuttles is lack of RS232 port (Serial) so software camera control may not be possible, although this isn't a feature of Toolkit (We run IOCOM IG Meeting on this demo machine). I tried a USB-Serial convertor but couldn't get this working for camera control. I am interested in purchasing a portable AG Node and was wondering if anyone has any recommendation on vendors.